Written by Robert Erb, newspaper GHI Geneva. A visit in the SoulFetish Geneva Store and it is a cave of Ali Baba that unveils itself. 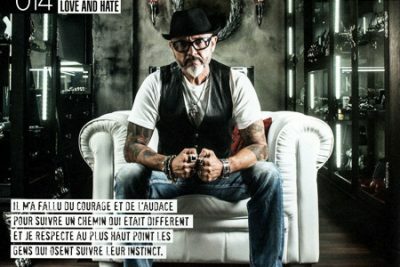 The creator Thierry Martino has incorporated all the codes of rebellion proper to most bikers. He regularly creates special jewelry in honor of Harley-Davidson®. A passion that invested him while the roads abounded in Japanese motorcycles in the South of France from where he came. The Americans recognize him as an innovator, who knows how to find inspiration in myths, shamanic stories and transform them into rings, bracelets, jewels that are amazingly original. SoulFetish was born in 1999. Among his fans, Jean-Paul Gaultier, Joeystar and many others.